Advances in technology and the use of the Internet have favoured the appearance of a great variety of Web applications, among them Web Portals. These applications are important information sources and/or means of accessing information. Many people need to obtain information by means of these applications and they need to ensure that this information is suitable for the use they want to give it. In other words, they need to assess the quality of the data. 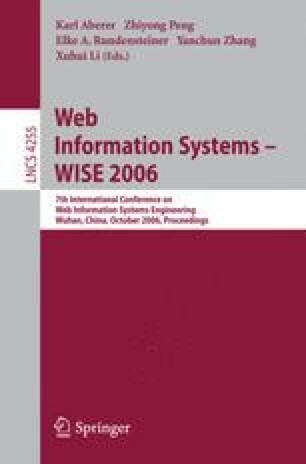 In recent years, several research projects were conducted on topic of Web Data Quality. However, there is still a lack of specific proposals for the data quality of portals. In this paper we introduce a model for the data quality in Web portals (PDQM). PDQM has been built upon the foundation of three key aspects: a set of Web data quality attributes identified in the literature in this area, data quality expectations of data consumers on the Internet, and the functionalities that a Web portal may offer to its users.